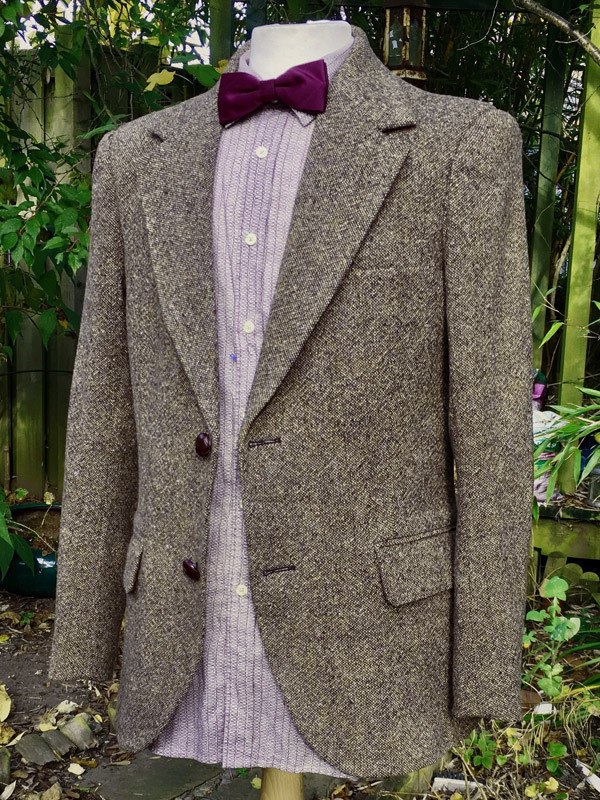 Making My 11th Doctor Costume: Bow ties are cool! I think it would be cool if you put together a bow tie index. 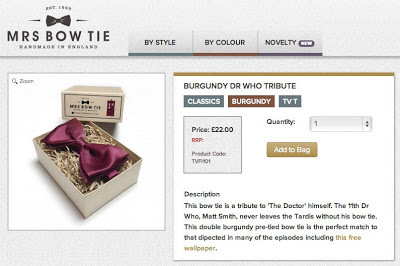 Though it would probably just be a bunch of screencaps of the bowties since they're all handmade. I agree with the above comment: a bow tie index would be cool. I'm looking forward to your review of the ties offered my Mrs. Bowtie. I'm curious to learn how close they are to screen accurate. Is it possible to order self-tie version from this site? Are the series 7 ties Matt Smith wears pre-tied? I haven't been able to tell. All the ones from the site are pre-tied. 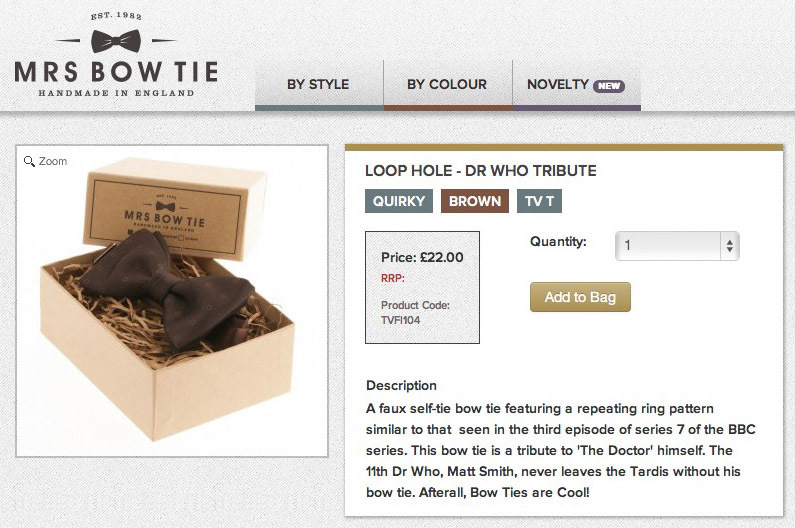 While the ones Matt Smith wears are self-tie, they do have a clip. So once you've tied the bowtie, you can take them off without untying them, so the bow-tie won't change shape during the episode. 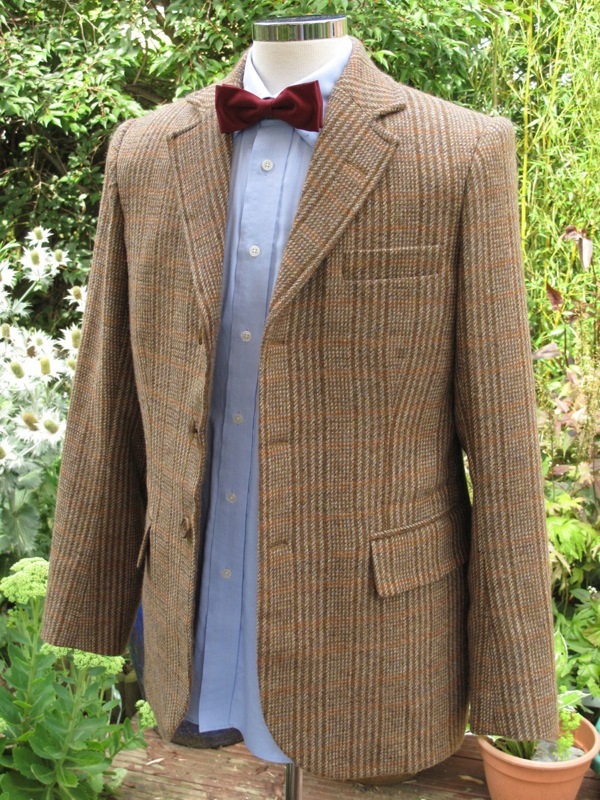 I've been making a grid list of each costume Matt Smith has worn so far in the Part B season. I could post it on here if anybody's interested. It's pretty simple though. 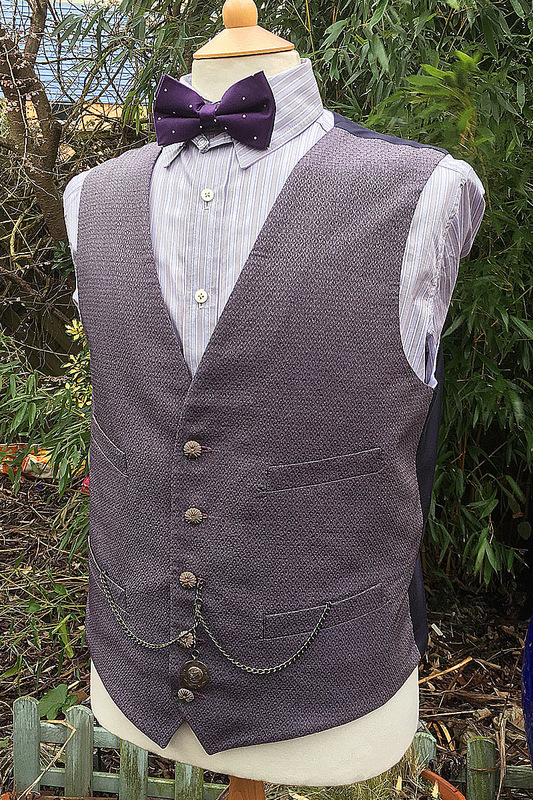 I bought some from mrs bow tie and was a bit dissapointed as the fabric is quite cheap feeling and the colours arnt that good not sure how its printed, was very dissapointed however the box was nice. Im presuming they subliminally print and yes its a very cheap way of producing high quanity so they actually work out quite expensive! Im sticking to buying mine 100% silk. Its a shame as I initially got quite excited about this online shop, just another factory jumping on the band wagon to make a quick buck. 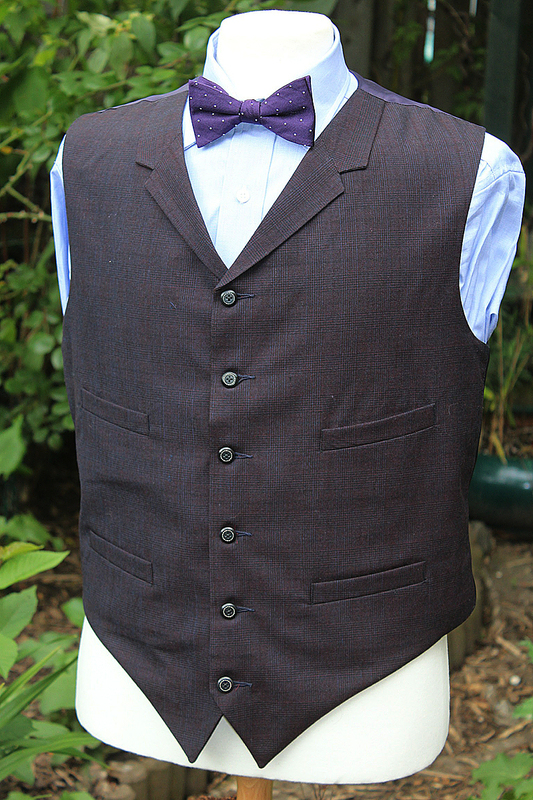 Have you any suggestions for free bow tie sewing patterns? I'd like to make my own.